The generator at this home had exceeded its life expectancy and was experiencing a decrease in reliability. The homeowner decided it was time to upgrade so that he could rest easier during power outages. We replaced the existing 20kw liquid-cooled generator with a 22kw. 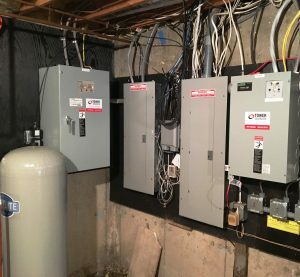 We utilized the existing Asco transfer switches as they had recently been upgraded. The project is complete and everyone can relax and enjoy life during any future outages.